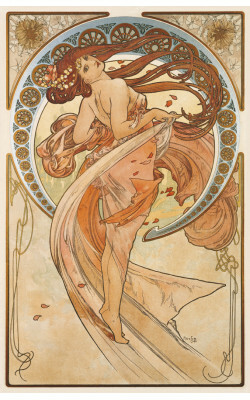 In his cycle glorifying the four arts, Mucha deliberately refrained from traditional attributes, such as plumes, musical instruments and painter’s paraphernalia, instead setting each of the arts against a background related to a time of the day; morning for Dance, midday for Painting, evening for Poetry and night for Music. 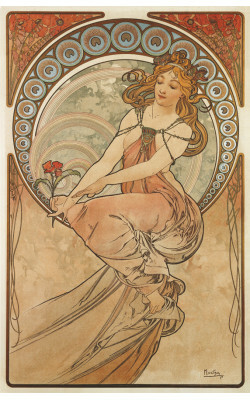 Poetry is personified by a female figure gazing at the moonlit countryside in contemplation. 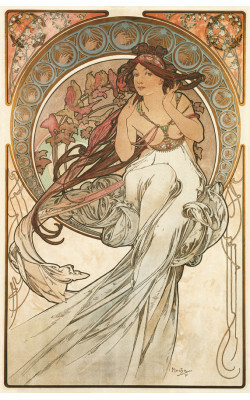 She is framed by a laurel branch, the attribute of divination and poetry. 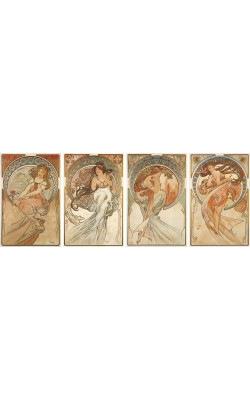 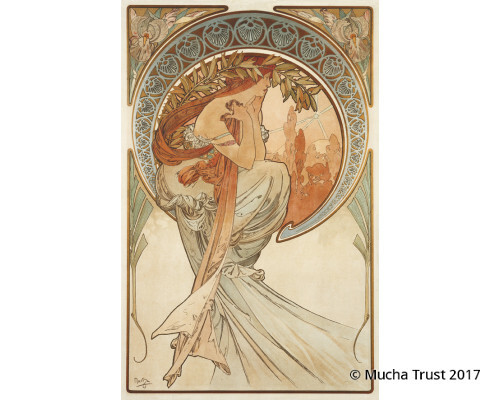 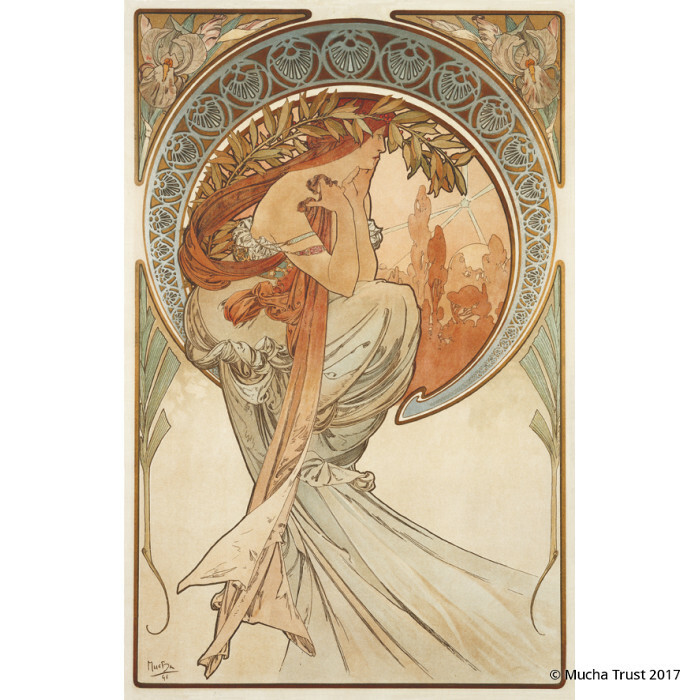 Products in the same series - "The Four Arts"
In his cycle glorifying the four arts, Mucha deliberately refrained from traditional attributes, suc..